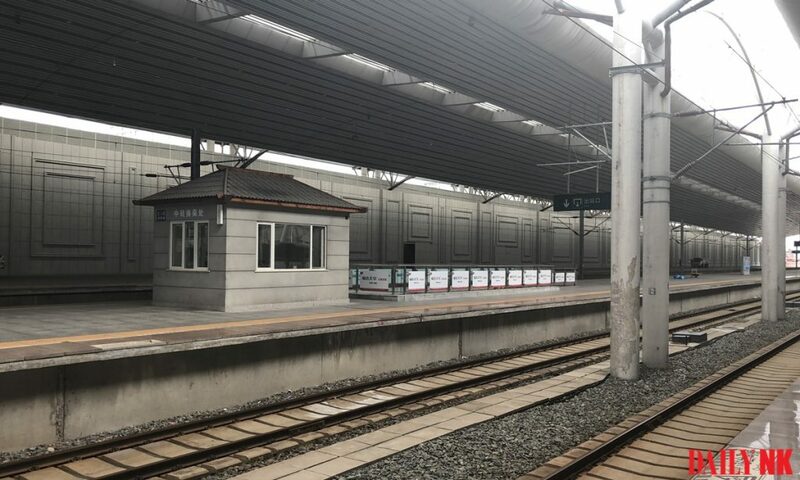 [Photos] Privacy screens go up at Dandong Station again: More high-level exchanges in the works? 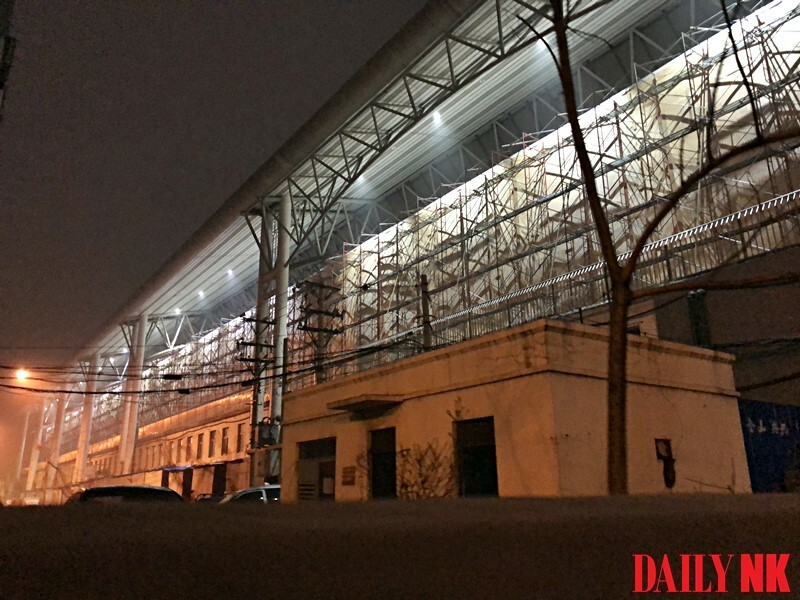 Privacy screens have again been installed at Dandong Station in Liaoning Province, China, in what some Daily NK sources are calling an attempt to prevent prying eyes from witnessing the transport of senior officials across the border with North Korea. 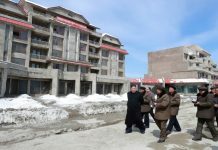 “Screens were installed recently at Dandong Station in a similar fashion to when Kim Jong Un visited China last time,” said a Daily NK source based in China. In late May this year, echoing measures that were taken during Kim Jong Il’s past visits to China, massive screens were constructed at Dandong Station when Kim Jong Un made a discreet visit to China. 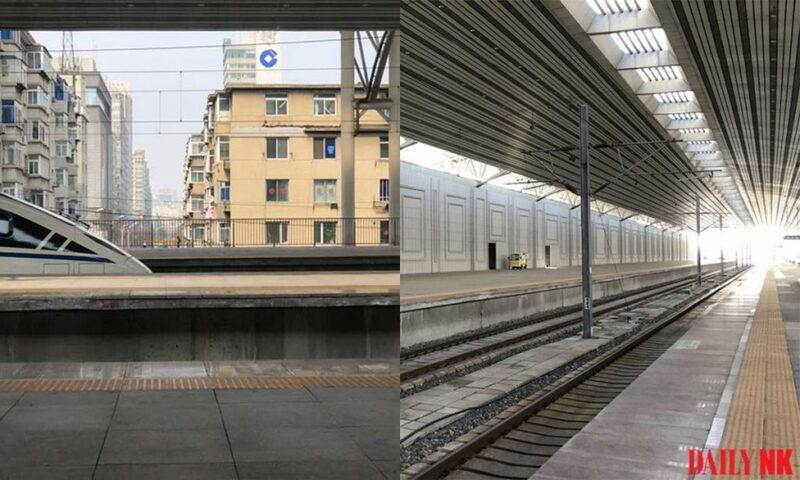 The screens being constructed in Dandong Station, however, are somewhat different from those installed in the past, according to the source. “These new shades have 2 to 3 layers so that outside observers can’t see the inside of the station at all. The quality of work is also better,” he said. 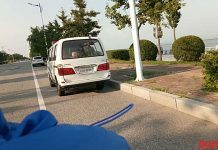 Photos recently obtained by Daily NK show that the screens are more refined and seem to have been constructed in a more robust way. The source noted that they appear to have been installed for use over a much longer period. 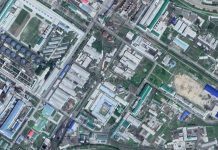 The political situation on the Korean peninsula has changed rapidly in recent months, with ties between North Korea and China warming. Kim Jong Un has met with Chinese Premier Xi Jinping three times this year alone. The improvement in the bilateral relationship also means there may be an increase in human exchanges over the border between the two countries. “[The installation of the screens] is likely a measure to prepare for frequent crossings by high-level officials in tandem with improvements in the Sino-DPRK relationship,” said a separate source in China close to North Korean affairs.